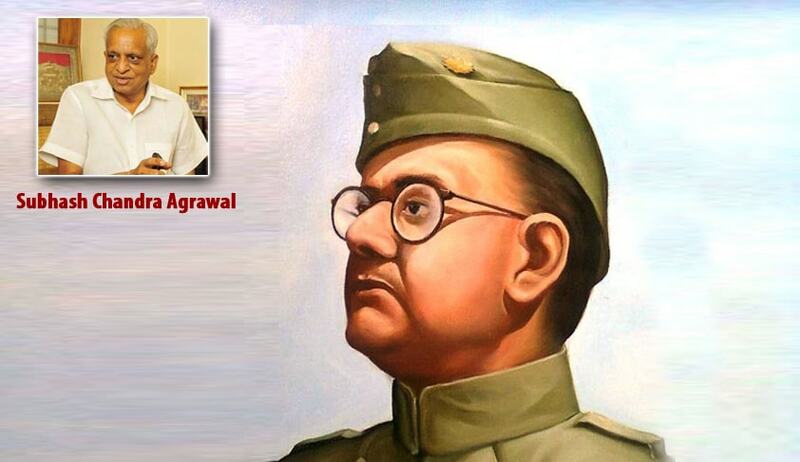 A long-pending CIC-verdict dated 01.12.2015 in appeal-number CIC/CC/A/2015/001530/VS against Prime Minister’s Office (PMO), regarding declassification of files relating to Netaji Subhash Chandra Bose came much after a special priority hearing which was held long back on 26.08.2015, considering issue to be of vast importance to national and public interest. The Central Information Commission verdict came more than three months after priority hearing was held thus killing the very purpose of a special priority hearing. It contains no specific directions given for finality of declassification of files, when presently Prime Minister has only announced 23.01.2016 as starting date for declassification of files. The Appellant, Shri Subhash Chandra Agarwal, filed an application dated 14.09.2013 before the Central Public Information Officer (CPIO) in the Prime Minister’s Office (PMO) seeking Information/documents under the Right to Information Act, 2005 (the Act) on 17 points,inter alia, pertaining to Netaji Subhash Chandra Bose. Regarding points 1 to 6 and 16, the CPIO had informed the appellant that request was not specific in terms of subject matter and timeframe and collection and compilation of such dispersed information would result in diversion of manpower. The appellant stated that the matter is of great public interest as the people of India want to know about the circumstances surrounding the disappearance of Netaji Subhash Chandra Bose. The appellant further said that he was not interested in getting the information which would be against national interest. The appellant stated that the Government is the repository of such files and that the public interest is out weighing the protected interests; hence the requested information must be disclosed under section 8(2) of the Act. The respondent Central Public Information Officer, Prime Minister’s Office, submitted that the requested information pertains to matters, which if disclosed, would jeopardize friendly relations with foreign nations. Therefore, the same is exempt under section 8(1)(a) of the Act referring to Nusli Wadia v Ministry of External Affairs, Anuj Dhar v PMO and Chandrachur Ghose v PMO. The respondent further stated that files pertaining to Netaji Subhash Chandra Bose are spread across a wide canvas of information on different subjects. Therefore, in absence of a proper input from the appellant in this regard, it would be improbable to figure out which of the files pertain to the matter under consideration. Certain news items pertaining to declassification of files with the PMO about Netaji Bose have been published in the leading newspapers like Times of India, Indian Express, Mail Today dated 15.10.2015. The news items say that Prime Minister has met the family of Netaji Subhash Chandra Bose and some scholars on14.10.2015. Prime Minister is said to have assured the family that the files related to Netaji Subhash Chandra Bose would be released for public viewing and that he would also ask foreign governments such as Japan, Singapore, Malaysia and Russia to release documents available with them. “It is shocking that CIC-verdict came more than three months after priority hearing was held thus killing the very purpose of a special priority hearing. Otherwise also verdict is meaningless with no specific directions given. It is like an administrative order rather than a judicial one where there is absolutely no direction for finality of declassification of files when presently Prime Minister has only announced 23.01.2016 as starting date for declassification of files. What is the relevance of CIC-verdict in case government may not be starting declassification on the stipulated date for some reason or other? Verdict also does not speak of the petitioner drawing attention towards wrong stand taken by PMO for long two years of an RTI petition dated 14.09.2013 invoking unnecessarily exemption-clause of section 8(1)(a) of RTI Act claiming information to affect relations with foreign countries with Prime Minister taking contrast stand by declaring declassification of files relating to Netaji Subhash Chandra Bose”.